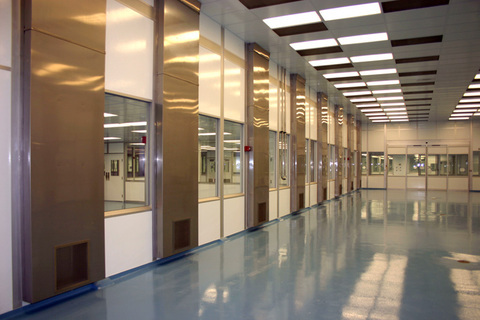 The PM458 XTRA TALL Cleanroom Wall System features extra height walls that can extend to your existing ceiling, divide plant space or create large, free-standing enclosures with load-bearing decks. With the PM458 system, wall heights are virtually unlimited. 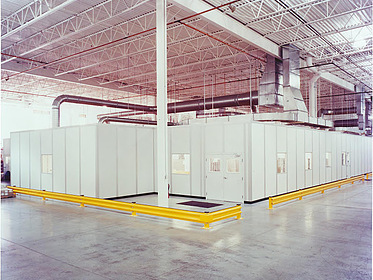 The anodized aluminum components are ideal for achieving maximum cleanliness in a controlled environment and with all of the options available, PortaFab can tailor a cleanroom or paint enclosure to fit your environmental control and plant configuration needs faster and at less cost than conventional construction. 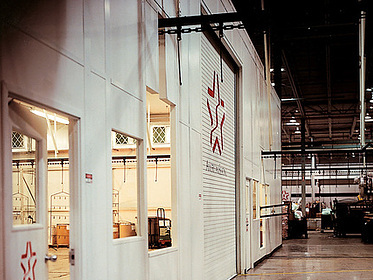 The PM458's customized designs meet your exact room needs, enabling you to interface easily with mechanical equipment and accommodate conveyor openings or pass-thrus. 4-5/8" wall panel provides flush wall surface on both sides. Available in heights up to 24' tall. Load-bearing capabilities allow the structure to be a separate free-standing unit with the plenum cap supporting the mechanical equipment. 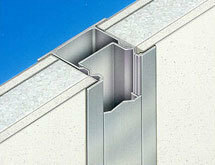 Pre-engineered design allows the wall system to be designed for any configuration or application. Simple, fast installation minimizes plant disruption. 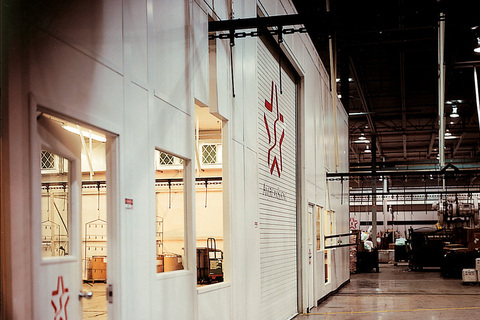 Variety of core materials and panel finishes allow you to meet requirements for acoustic and thermal insulation, chemical resistance, and static control. Each stud post is designed for flush-mounted and concealed wiring capabilities. Flush single-glazed or double-glazed windows available. 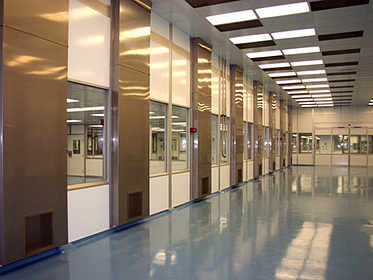 Interfaces with ceiling grid systems, flooring systems, existing modular wall systems and conventional.